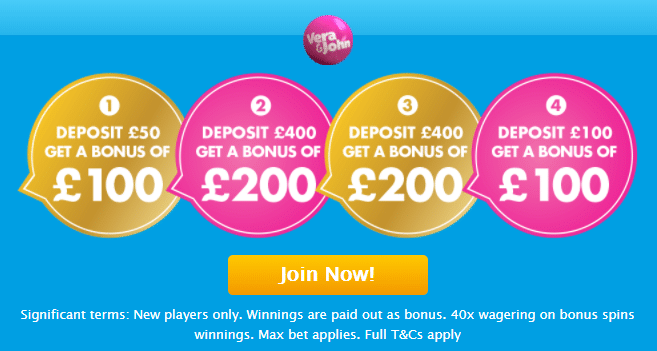 Access Vera&John casino and make your third deposit of 10 Pounds minimum. Keep in mind that payments made with Neteller and Skrill are not valid to obtain this deal. Once you made the deposit, you will receive a 50% bonus up to £200. Use this extra cash to have tons of fun playing your favourite games. Wager the bonus amount 40 times before making any withdrawals. You won’t find such a rewarding offer anywhere else so get it now!